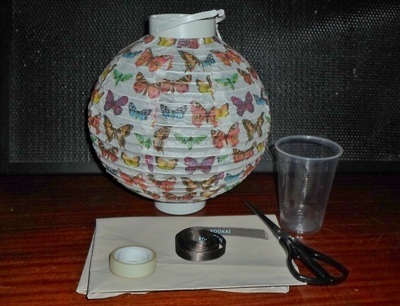 This craft activity turns a simple lantern into a fun hot air balloon. 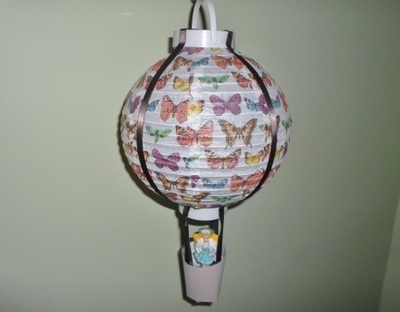 I've used one of Typo's Light Up Lanterns, which comes with a handle and a hook that make it easy to hang up, but any Chinese lantern will work too. 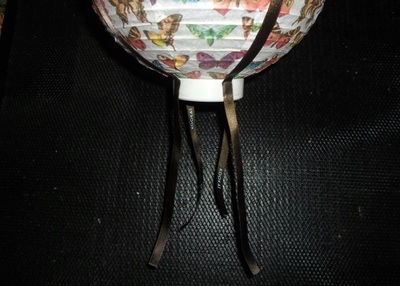 Cut two pieces of ribbon into strips long enough to be draped over the lantern with about 10 centimetres hanging loose past the bottom on each side. My pieces were around 70 centimetres long. 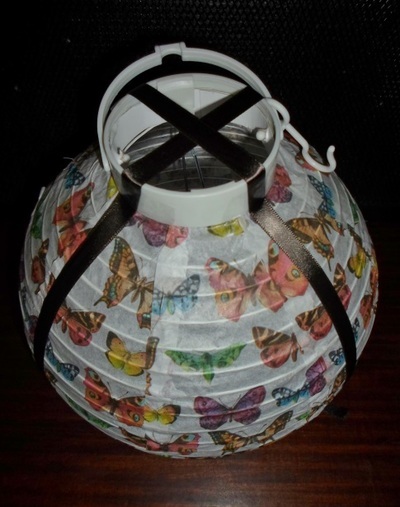 Tape the pieces of ribbon over the lantern so that they form a cross at the top and the four ends hang loose from the bottom. 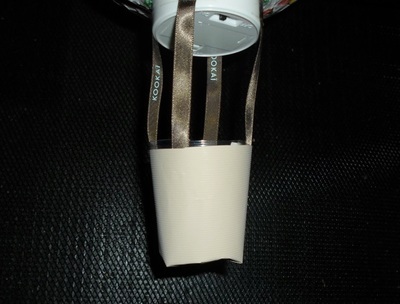 Tape the ends of the ribbon hanging from the lantern to the sides of the cup. 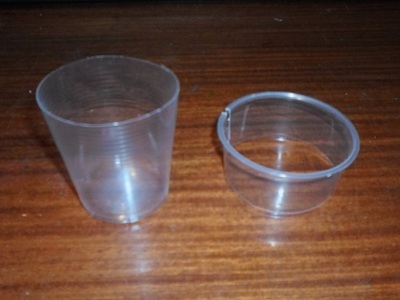 Cover the cup with paper (this step is only really necessary if you use a clear, plastic cup like I did, at its purpose is mainly to hide the ribbon).